There’ve been the five bestsellers: the Big Idea books The Tipping Point, Blink, Outliers, and David and Goliath; along with What the Dog Saw, a selection of essays pulled from his more than 20 years of writing for The New Yorker. And now we have three seasons of him looking anew at the past in his entertaining podcast, Revisionist History, which debuted at number one on iTunes. Named one of Time magazine’s 100 most influential people, Gladwell has tallied more than 14 million views for his TED talks. Come March, he’ll be a keynoter at the 2019 Psychotherapy Networker Symposium. In the following interview, he describes his first encounters with psychotherapeutic topics, the impact of his work on the psychology community, and his upcoming book on encounters between strangers that go awry. Want to see Malcolm's storytelling in person? Don't miss his keynote at the 2019 Networker Symposium in March! Click here to register before prices increase! 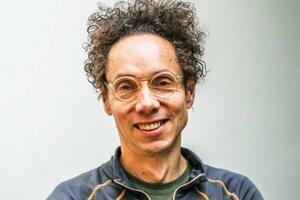 This blog is excerpted from, "An Interview with Malcolm Gladwell." The full version is available in the November/December 2018 issue, A New Generation of Clients: Is Therapy Keeping Pace?